What was that saying our mamas told us about handing out chances to undeserving people like candy? Ahh, yes, yes, “Fool me once shame on you, fool me twice and I’m a willing participant in any hurt and pain that I may in endure.” Yeah, I remixed it. How many opportunities are we going to grant Kanye West to disappoint us? Nah, for real. This might be the fifth time he’s crossed the line since 2016, and I’ll be damned if I chalk it up to a mental illness issue. Exactly what he said on the premiere of Saturday Night Live isn’t even worth dissecting; just know he is no longer with us. Mr. West is no fool. In fact, he’s supremely knowledgeable and calculated and that makes this all the more disappointing. I bet Ms. Donda is looking down from heaven shaking her head. He knows what’s at risk every time he makes a public appearance wearing that ugly MAGA hat. His motives are clear. Those children locked up in cages; the police who kill unarmed civilians with reckless abandon; the women who’ve been sexually violated; the safety of our children; the scarcity of resources available to maintain our health — means nothing to someone who is privileged and unaffected. The time has come to stop going to his concerts, stop streaming his songs, and stop buying his sneakers because he has long since unloaded himself from the plight that we endure as people of color in a country that has never respected us. 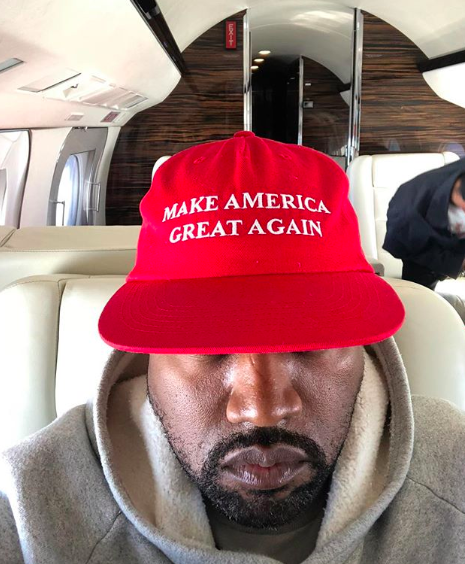 Mr. West proudly flaunts his allegiance to white supremacy, for what gain I’ll never understand, but this is his last opportunity to do so within my orbit. Connections, affiliations, and association matter. I’m out.